Drivers in Johnson and Ellis counties were stranded along roads covered in high water following several hours of heavy rainfall. In Johnson County, officials have evacuated or rescued about 19 people, according to Johnson County Emergency Management Coordinator Jamie Moore, but many more could be trapped in their homes. "This is our fourth major flooding since April 26," he said. "We're doing rescues and having homes that are inundated with water." Several drivers needed to be pulled from their cars, including Jeremiah Carter. The National Guard pulled him out. About 45 roads are closed in the county due to flooding. One major problem area was Gardega Road and County Road 805. Buffalo Creek rose above the bridge, so even if people could get out of their homes, they could not get down the road. Tracy Plemons lives on Gardega, and as soon as the water went down, she and her grandson, AJ, went to get a horse trailer. Earlier, they could not get to their horse and ponies because their yard was flooded. 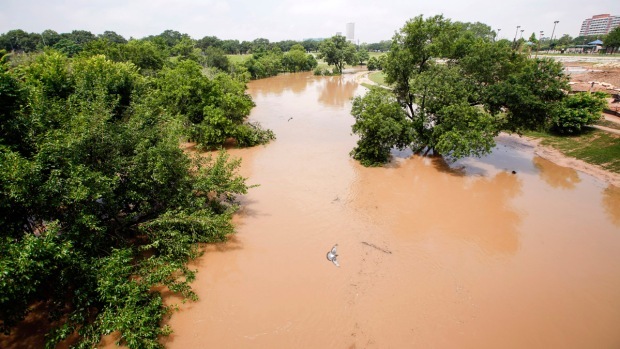 “Earlier they were trying to swim to get to dry ground,” said AJ Salazer of Cleburne. So when the water receded, they went to try and find them, to take them to higher ground. They were able to rescue all but one, who they think is way back in a field. “They said rain again tonight so we had to come and get them,” said Tracy Plemons.